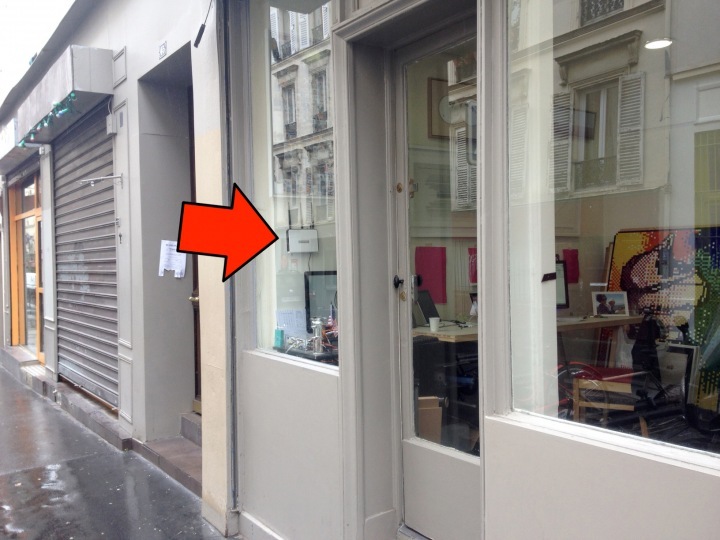 My new studio (with studio mate Benjamin Gaulon) is now fully operational in Paris’s 11th arrondissement. Mathieu Tremblin (of Les Freres Ripoulain) christened the place with a new piece. Passersby can conduct a studio visit by going to my Offline Art node, which will be displaying unreleased pieces and works in progress. You can also visit the studio on the deep web at http://65zg2mx5bipqf2nn.onion/ (Tor browser required).